Mike Sheridan, the new Speaker of the Assembly, has proposed a rule prohibiting fundraising by the members of the Assembly during the budget process. This is the first sign that somebody in power thinks the heretofore invincible, insular incumbents should be more concerned about their image, about how they are perceived than they have been. The newly minted Government Accountability Board is proceeding apace on its mission to level the electoral playing field by requiring 3rd parties who are participating in elections to follow the same disclosure rules the candidates do. The evidence from the three states that have opted for full public funding of state elections indicates they think they are getting something worthwhile for their money. 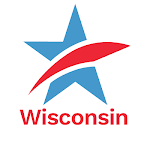 There are reportedly more candidates, more competitive races (in Wisconsin one third of the legislative seats are uncontested, and because of sweetheart redistricting another third may as well be, and truly only 10 percent of the seats are really up for grabs), and a noticeable if subjective improvement in quality in their public officeholders. The chances of this happening in Wisconsin, however, is low to nonexistent. Two of the three states that have full public funding also have an initiative and referendum system, which is a high price to pay for change, including this one. The other state, Connecticut, got a public funding bill passed when the governor went to jail for campaign malfeasance and the lieutenant governor who succeeded him spent all of her chips during several late-night sessions to get a bill to do this through a very reluctant legislature. Republicans didn’t like spending limits and public funding when the state could afford it. Their “welfare for politicians” rhetoric was effective even then despite the reports from Maine, Arizona and Connecticut. The prospect of adding even the few millions it would take to what promises to be an extraordinarily unpalatable budget bill are somewhere below zero. The Legislature must sign off on what the Government Accountability Board has proposed. While the Republicans have always contended that they think the best regulation is full disclosure, they did not advance the bill the Senate sent them on this subject last year. There is some suspicion that the Democrats who controlled the state Senate then felt safe in sending a far reaching disclosure bill to the Assembly knowing it would die there, which it did. There is a clear indication that Mike Sheridan’s Assembly is no longer a safe haven for campaign reform measures. The ball is in Senator Decker’s court. We’ll see what we will see. We all know that the Right To Life lobby will fight to the death (you should pardon the allusion) to keep the names of the donors to their campaign spending operation secret. The manufacturers’ association is at a serious disadvantage in raising money against their mortal enemy, the teachers’ union, and would be worse off if they had to report whose money was being used for their political ads and activities. The Club for Growth, Greater Wisconsin, and the Coalition for American Families, are perhaps less menacing but equally devoted to keeping their donors’ anonymity intact. No one knows where "cause" money from elsewhere or even from Wisconsin (from the tribes, to mention one below the radar source) is coming from or going to. These are formidable opponents of disclosure and the fairness that would ensue. The Government Accountability Board’s action is not a slam dunk. Lastly, there is a discouraging word from afar. The Democratic members of the New York state legislature who were so gung ho about campaign finance reform measures when they were in the minority are in the majority now. “Not so fast,” seems to be the word out of Albany. Surely this will not happen in Wisconsin. It is worth noting though that a combination of recalcitrant Republican leaders and their duplicitous Democratic peers have kept reform and reformers at bay for almost two decades now. Could it be a new day? There’s hope. New directions for campaign reformTweet this!